Double weighted and generously felted. Ideal with a 23 inch (60 cm) board. 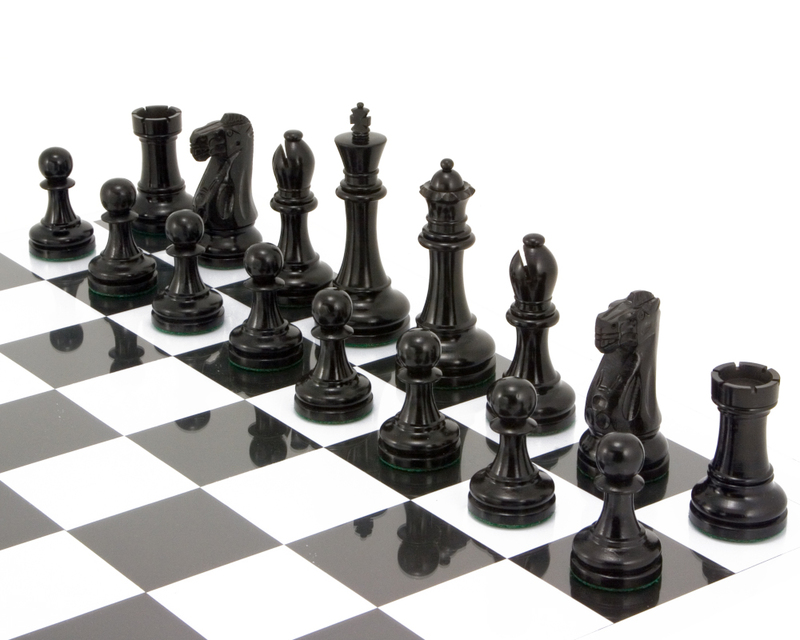 Solid ebony is hand carved to create the stunning, weighty Broadbase Staunton Chess Pieces. 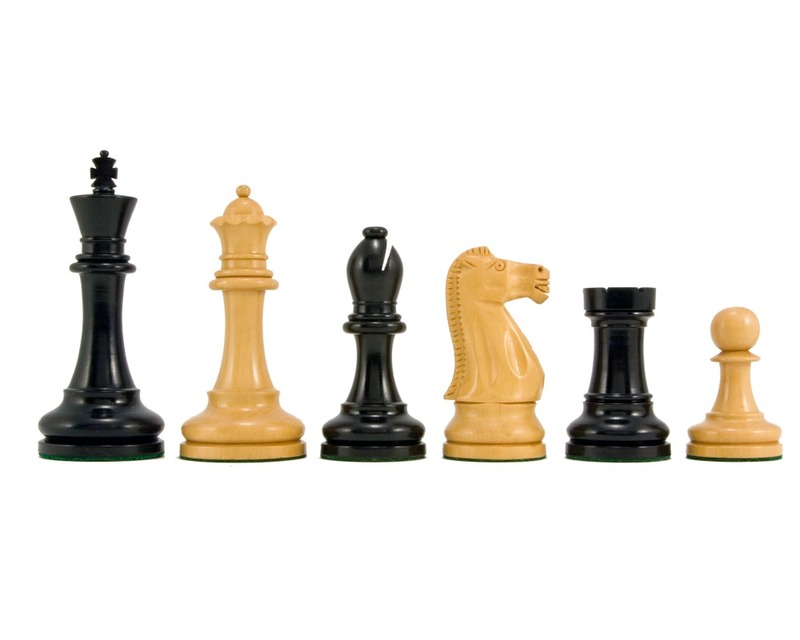 These wonderful chess pieces offer superb balance and some of the most intricate curves and lines we at Regency Chess have seen on a chess set of this price. 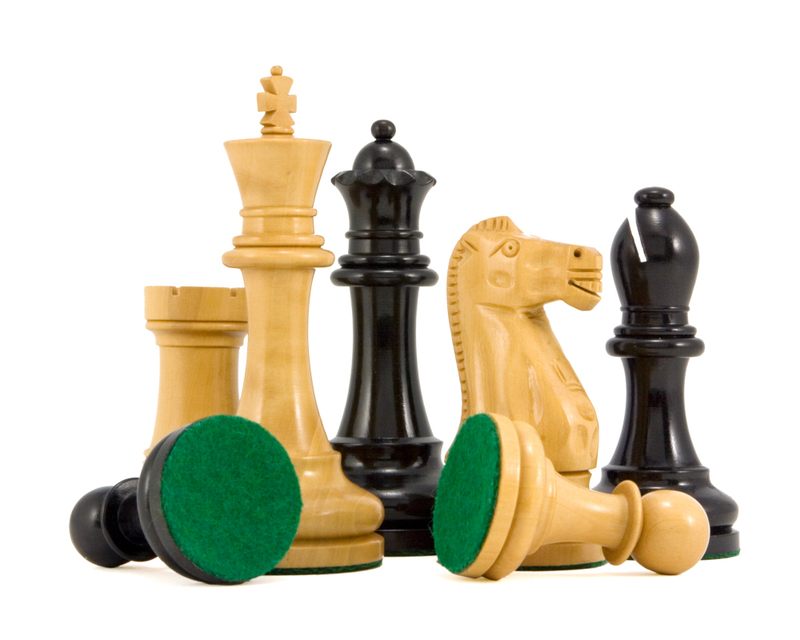 The reason is because only the most experienced chess craftsmen are able to create these Broadbase sets that bear hallmarks of the classic Staunton design that has dominated chess for more than one hundred years. To ensure protection these fine pieces are double weighted and generously felted on their bases. Of course, extra felt is needed because of the wide bases that all of the chess pieces in this set bear. 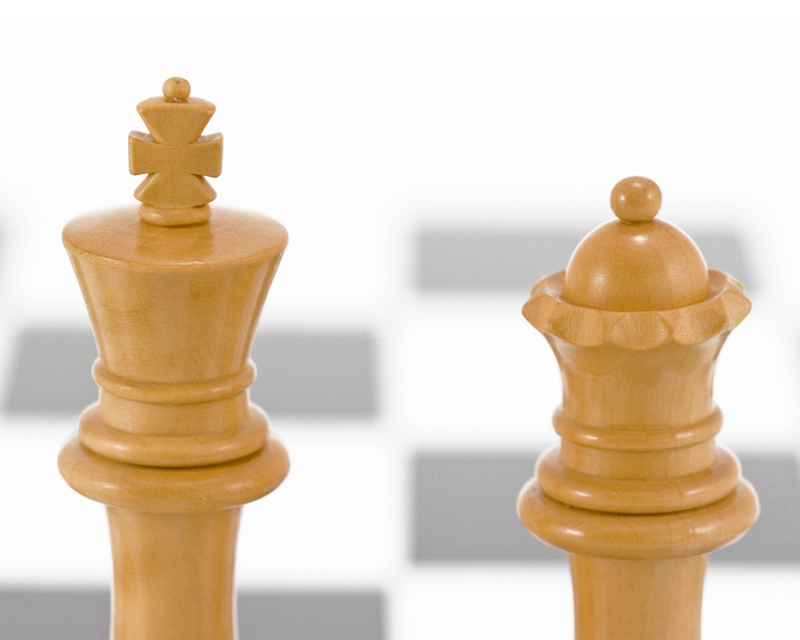 This wider foundation gives the Broadbase series a real presence on a chess board. What is striking, though, is the elegance created with slim midriffs that flow from the aforementioned strong bases. The knight has a true English gent expression on his face; clearly a set for winning on strategy and cunning. The absence of any intimidation on behalf of the knight should keep things civilised during a game, at least for the first five minutes anyway! This is a set that is going to remain in the family for many years so be sure to choose it wisely and guard it well for the next generation. 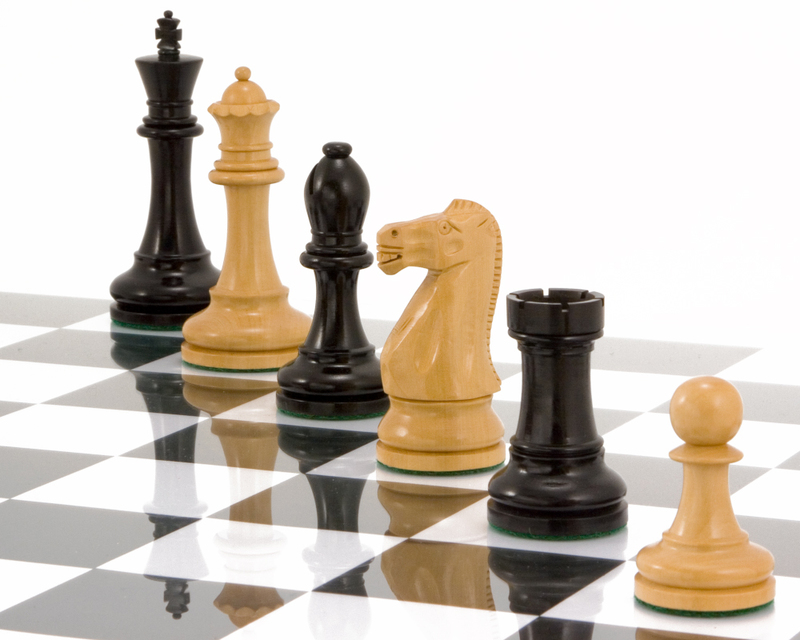 We recommend matching the Broadbase Chessmen with a board with squares of 2 inches (51 mm) or greater in size. Our 23 inch (60 cm) boards will complement it perfectly. 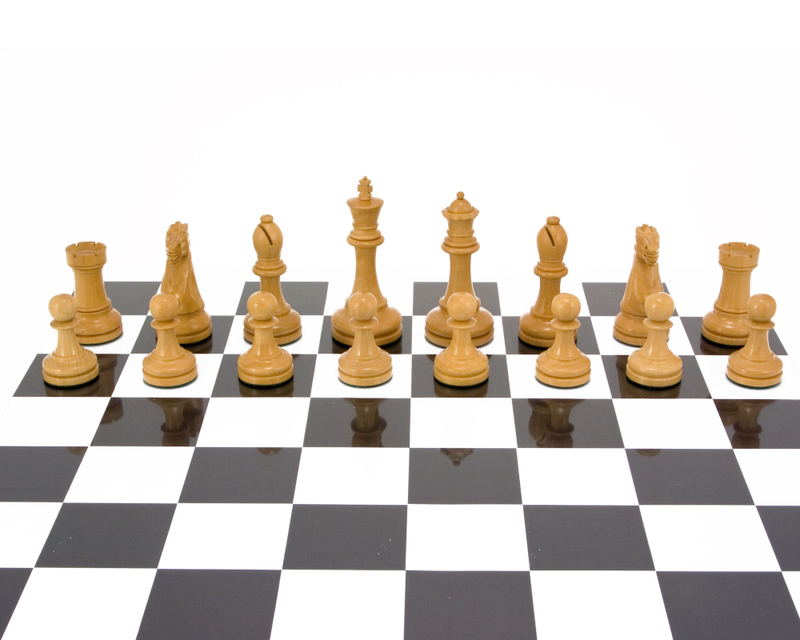 These fine chess pieces are also available in the less expensive rosewood. 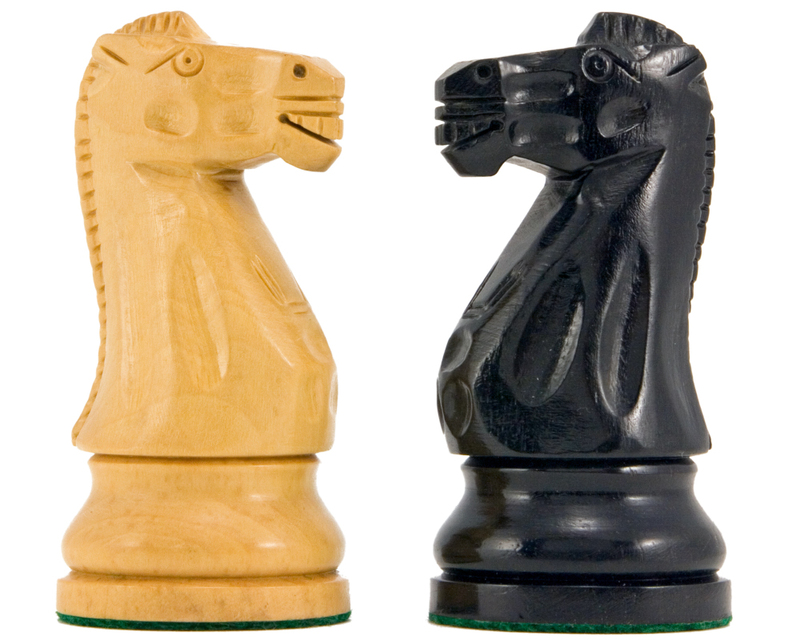 See Broadbase Rosewood Staunton Chess Pieces 4 Inches for details.